Learn to use storytelling as a vessel to create emotional and political connections, form cultural identities, and to prompt social, organisational and environmental change. The Bachelor of Media is a progressive, internationally recognised degree that prepares you for a career in the creative, media and information industries. Delivered through the School of Creative Arts and Media, we provide the chance to learn from leading academics and working professionals from all areas of business, commerce and government. Explore relevant media theory and develop practical skills including writing, researching and producing media, and specialise in Screen, News and Journalism, Strategic Communications, or Media Practice and Analysis. The Media School is the first of its kind in Australia, and its location in Salamanca Square places you in the heart of Hobart’s civic, cultural and scientific centre. Engage with new media practices and technologies as they become available to produce a range of content. Build a portfolio of your own work through the Media Projects units within the major and participate in work-integrated learning opportunities, which prepare you to get the most out of an industry placement and employer interviews. Our program has strong links with the media industry in Tasmania, nationally and across the Asia region, and offers many opportunities to work within and alongside industry. Take part in fieldtrips, internships and exchanges – many with generous scholarships – with our leading international partner institutions in Japan, Malaysia, Denmark, the Netherlands and the UK. During your second and third year, you will develop a portfolio of media work through the Media Projects production units. Whether you choose to undertake different projects each semester, or pursue one large-scale media project across all four, you will graduate with a significant portfolio of creative, media-related projects to show employers. The flexible structure of the Bachelor of Media allows tailor your course content to suit your own interests. Dive deeper to develop your area of media specialisation, or broaden your learning across other areas of interest with the equivalent of a second major (eight units) or minor (four units), or individual elective units from across the University of Tasmania*. * Subject to any unit requisites, academic approval and course quotas. What skills are needed to push the media industry forward? Find out from professionals working across film, print, digital and animation who all share a connection to Tasmania. 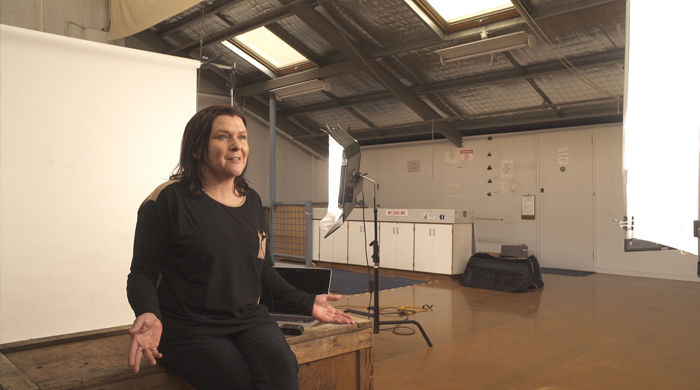 Discover why a media career is so rewarding and why Tasmania is the place to get your start. Respond effectively and creatively to a changing media environment. Professional practice and industry engagement is compulsory in three of the four majors (News and Journalism; Screen; and Strategic Communications) and is a prerequisite for Professional Placement (see below) involving a work-integrated learning project. You will work as part of a team, each role playing as specialists within your chosen major, to devise and deliver media and communications content, based on a client brief and/or industry scenario. In some cases, your group may complete its media project for a real-world client. In collaboration with an academic coordinator, industry mentors will guide you through the completion of your project, which may involve site visits, field trips, shadowing and client meetings. The units are taught through a combination of project work and intensive workshops. An industry placement can be an invaluable part of your undergraduate degree. This is a third-year, competitive entry unit in the Bachelor of Media that consists of academic assessments combined with a workplace experience for one or two days a week. In the Industry Placement unit, you will be assigned to a work placement that aligns with your chosen specialisation area. As part of your internship, where opportunity allows, you will contribute to the production, publication and presentation of media content while working under the supervision of a qualified professional. The unit is delivered through a combination of work placement and seminars that focus on peer reflection and career discussion. Assessment will involve a research essay, oral presentation, and internship portfolio. A major of 8 units: 4 intermediate and 4 advanced units. Students will choose one of four majors: News and Journalism; Strategic Communications; Screen or Media Practice and Analysis. Degree Core Knowledge 6 units: 4 core introductory units, and 2 XBR coded units. 10 student experience and engagement units: 2 at first year, 2 chosen from the core experience and engagement list and 6 free choice. These units can comprise 0 minimum - 2 maximum introductory units; 0 minimum - 4 maximum intermediate units; and 2 minimum - 6 maximum advanced units. The student electives can be additional Media units or individual units that students have the prerequisite to take including additional media units, or the equivalent of a 2nd major (or minor) depending on the introductory students electives passed. To explore the study areas available, go to www.utas.edu.au/courses/search-units? and use the selection criteria to maximise results. View the full unit description to check requisites (ie prerequisites, anti-requisites). If you need further assistance please contact Arts Student Central, tel 61 3 6226 7814 or email Arts.Faculty@utas.edu.au. Once you have the units code/title, then login to your study plan via eStudent to enrol. Find out more information about how to apply for a credit transfer/advanced standing at Recognition for Prior Learning. If you are a Year 12 school leaver or non-school leaver who meets the entry requirements, the Bachelor of Media is your next step towards an exciting career in the media industry. Apply to transfer into the Bachelor of Media and for advanced standing (credit points) for your previous study. Continue the Journalism, Media and Communications major in the Bachelor of Arts under exactly the same conditions as you commenced. If you successfully complete the Bachelor of Media and achieve a credit average in your 200 and 300 level units, you are eligible to apply for entry to the Honours (or fourth) year of the Bachelor of Media with Honours (R4E). If you successfully complete this degree, you will be eligible to apply for the Graduate Certificate in Journalism, Media and Communications (R5I) or the Graduate Diploma of Journalism, Media and Communications (R6I).